Where’s Wallis? 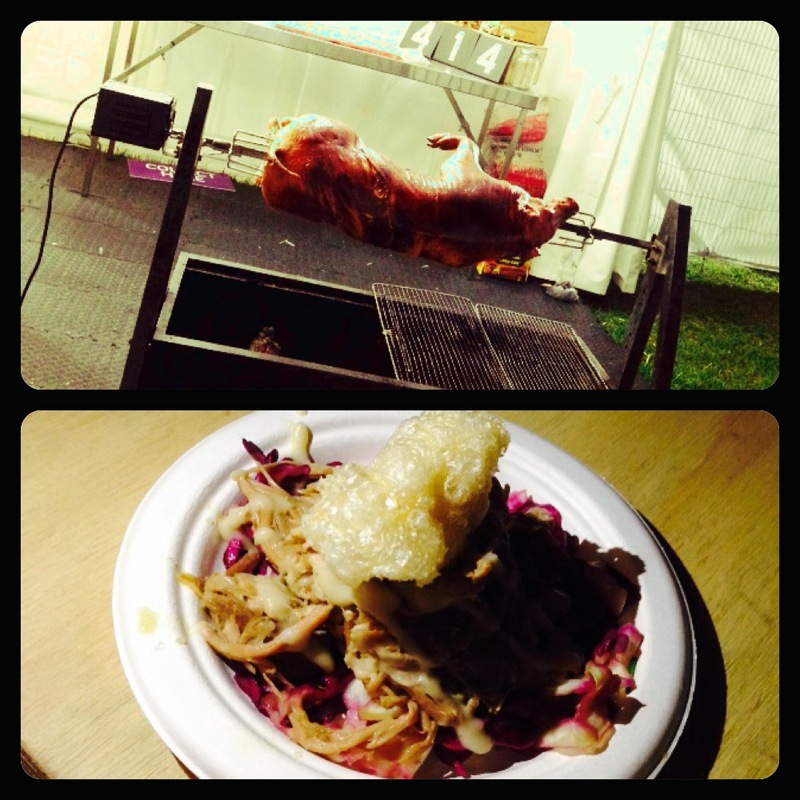 Taste of Sydney food festival 2015 – Where's Wallis? 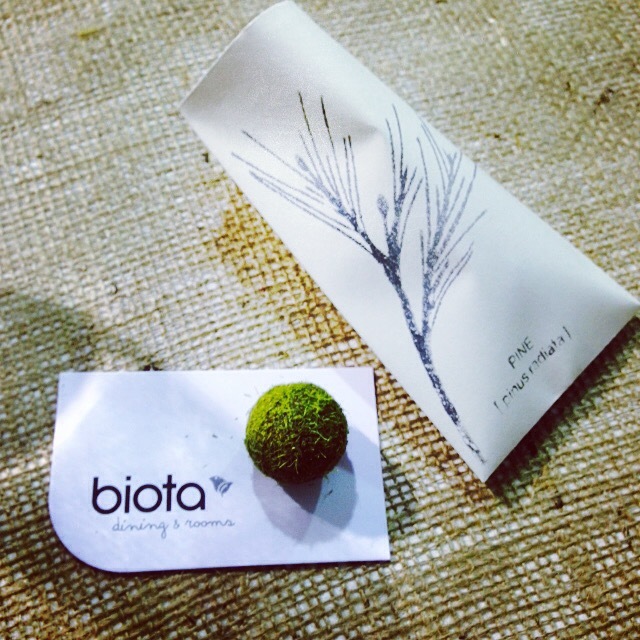 You may recall me mentioning I was on a little pre-Bali detox since our Hunter Valley trip? Well, all I can say is it’s a good thing that I got my bum out of bed yesterday morning and went to the Coogee Tri Club ride in Centennial Park at 6am. Bang-on 12 hours later I was back in Centennial, but this time exercising my taste buds instead of my legs at the annual Taste of Sydney food festival. 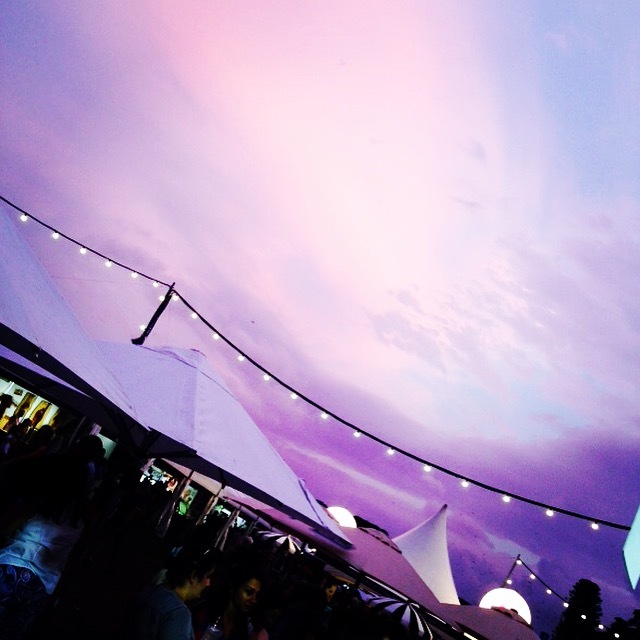 The festival is running in Centennial Park until this Sunday 15th March. There are 2 sessions a day on Friday and Saturday (12 – 4pm and 5.30 – 10pm) and one on Sunday (12 – 5pm). Tickets are available online or on the door and the festival currency is ‘crowns’ with 1 crown = $1 AUS. You can either buy a ticket package that includes a taste card pre-loaded with crowns, giving you a slight discount, or just get a card once you’re inside. There are various stations around the festival to top-up your crowns and you can do this by cash or card. If you return your card when you’re leaving you get $1 back for the plastic. The gates to foodie heaven! Take a pen with you – I ended up tearing & folding my menu book to shreds to mark what I wanted to try! Get there early! Whilst it never got rammed, the queues definitely picked up towards the end of the night, if you have a full list of tastings on your plate make sure you give yourself sufficient time. Explore! 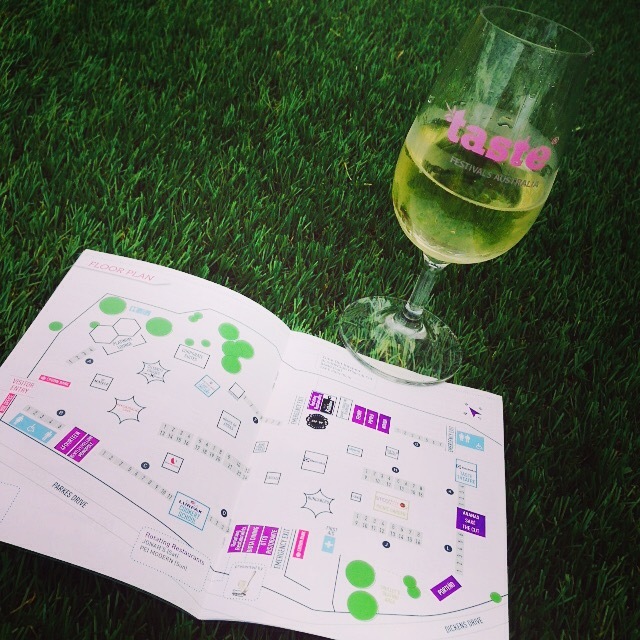 Chat to the exhibitors and restauranteurs (if they have time!) and find out about their latest projects. Read the menu properly. Some restaurants are only there certain days so don’t make my mistake of getting your heart set on Jonah’s ‘Milk Choc & Rosemary Ganache with sweetcorn custard and salted caramel popcorn’ only to find out they’re only there on Saturday!! 😦 waaaa. 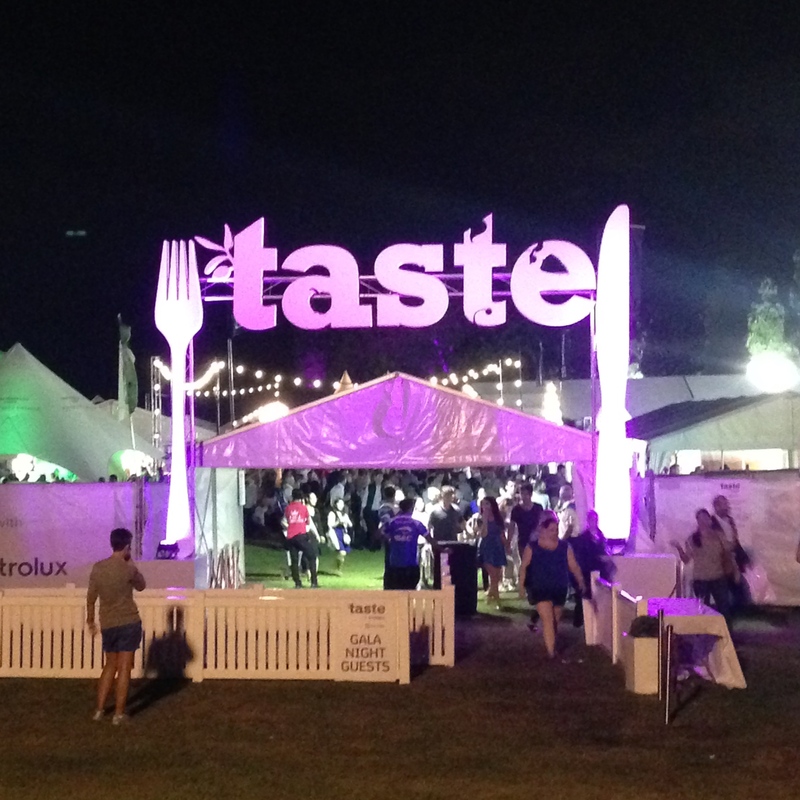 My immediate observation when I got inside was how much smaller it was than the ‘Taste of London‘ festival which I went to in Regent’s Park last summer (17th – 21st June this year!) ToL had 40 restaurants, whereas ToS had just 20, which actually I preferred as it made it far more manageable to get around and decide what you wanted to try! I mean unless you’re coming multiple days then 20 is perfectly sufficient!! A glass to get things warmed up! 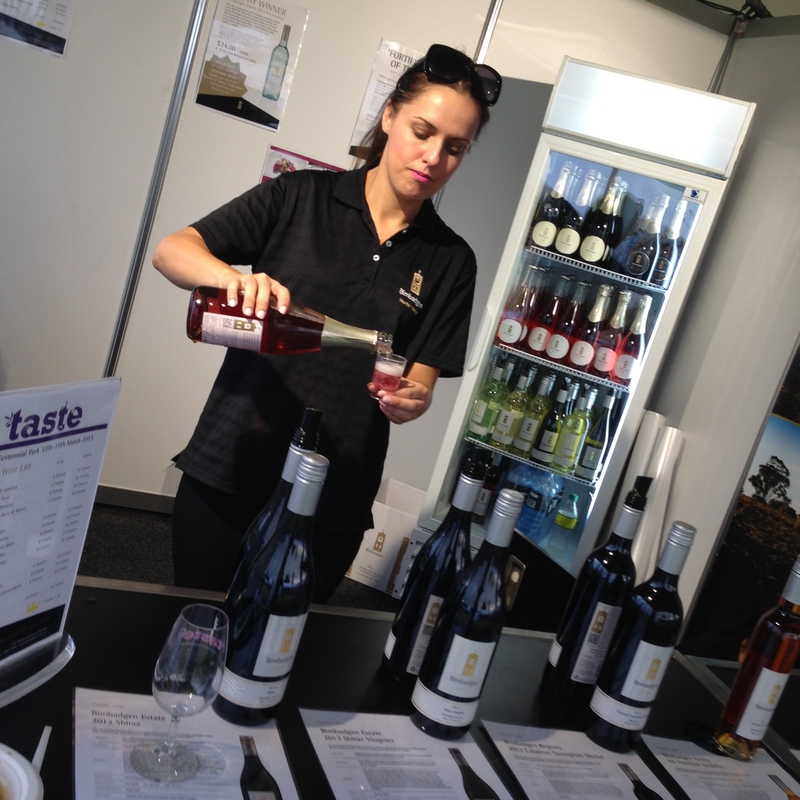 I’d been to the Petersons Wines family vineyard ‘Savannah Estate‘ when I was in Hunter Valley so headed straight to their stand for my warm-up glass of fizz whilst I pored over the menu guide. Their stand is first on the right when you enter the festival, and they were offering an incredible deal of 8 tasters for just $5! You get to try 1 sparkling, 3 whites, 3 reds and a muscat or port. The bottles are very reasonable too. Make sure you check it out! 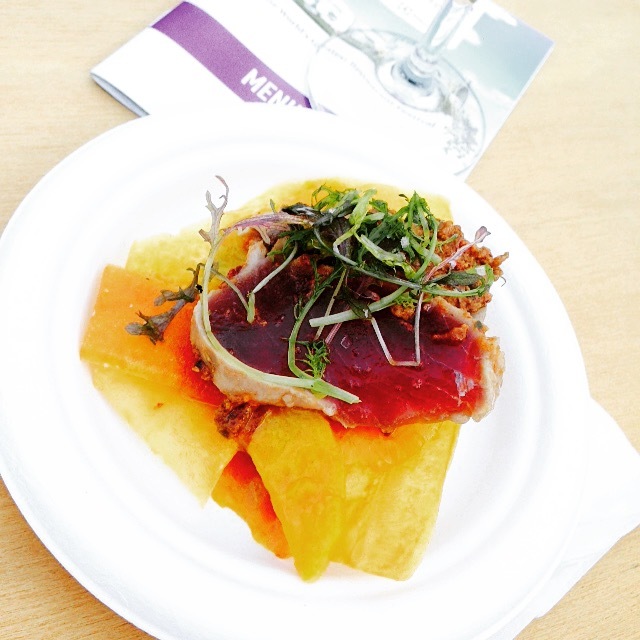 A mouthwatering first dish from Bloodwood. Bloodwood had a residency on the ‘Time Out Kitchen’ stand and will only be there Friday before ‘Bang’ take over on Saturday and ‘Cafe Paci’ on Sunday. The tuna was so rich and tender, and the plantain chips worked perfectly with it. Chutney isn’t something I’d naturally think to combine but it gave it a wonderful spicy kick! Utterly delicious. This was one of my favourites of the evening. The dumplings were wrapped in light noodles, and just melted in your mouth. Sake are also serving wagyu beef gyoza, which I’d bet are equally wonderful. Now I must admit, I was a little bamboozled where the salt cod actually was when I got this dish. It all appeared to be mashed potatoes with a cod-dy aroma to it. We concluded that the smoked salt cod must have either been stirred into the mash or sprinkled on top amongst the pistachios and peas. So just to manage your expectations – you won’t be getting a fillet o’ fish! It was however ridiculously good, and I preferred it to the Monopole ‘icon dish’ of the roasted prawns. The prawns were seasoned well, but I always find with prawns there is the issue that the seasoning never penetrates the skin, therefore no matter how well seasoned, once you bite in it’s just, well, prawn! The sea-blight that accompanied the prawns was a new food for me and one I’d happily have again! This was done slightly more elegantly with pickled cabbage and apple butter, and was the most generous portion we’d get all evening. A good measure of crackling too. The queue was long, but I can see why! Is it a donut? Is it a sandwich? I don’t care just give it to me!! Mmmmmm. 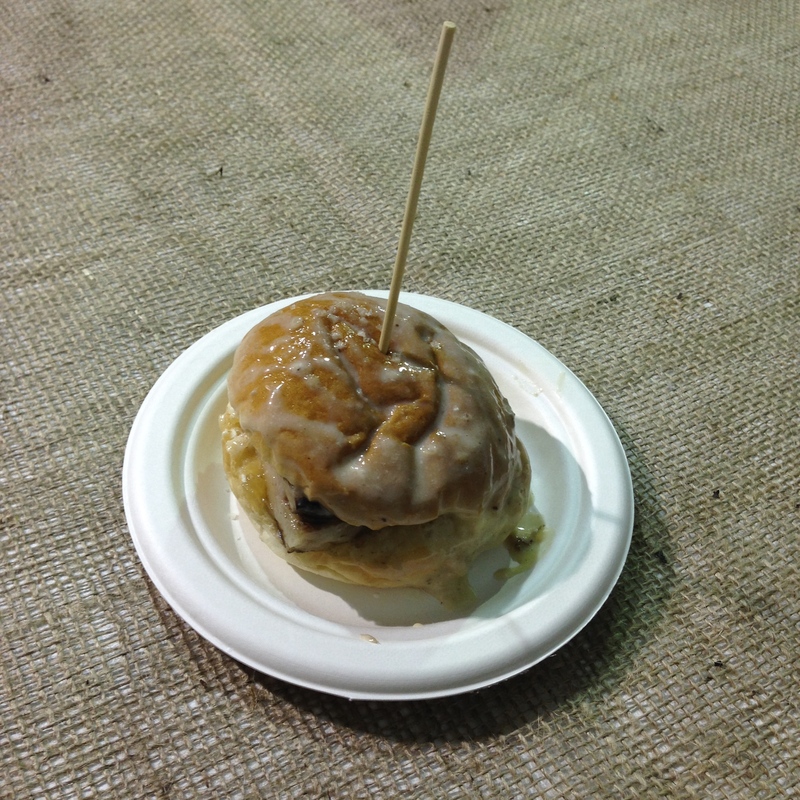 James Viles of Biota’s dipped lamb caramel buns are almost a dessert in themselves. Tender meat. Perfect ratio of meat to bread to sauce. A winner. Wow. Oh wow. I had no idea what to expect when I ordered the ‘Mulched Pine Caramels’. To be honest I think I was envisaging a pine cone, boiled down and mulched up. What I got was oh so good!! These little balls of joy have a gooey salty caramel centre, dark chocolate coating, and wonderful dry pine mulch around the outside, adding incredible flavour to the caramel. Buy 2 bags, you’ll need them. Whilst waiting for my mulched pine caramels I glanced over at the chef from Bloodwood who was queuing next to me and immediately got pudding envy of his little plate of delicious looking powdery chocolates. He told me that this was the ‘Bentley Bar’, but that sadly you only get one not four (he was buying for the Bloodwood team). Of I trotted to Bentley and mmmmm another delicious treat. From the description I’d just expected a chocolate covered piece of honeycomb but this was so much richer. Almost a little truffle bar, with chunks of honeycomb, salt and chocolate. 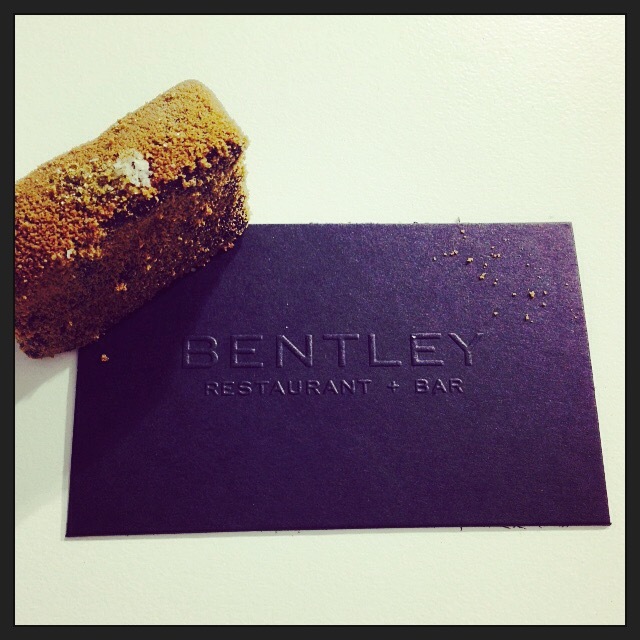 It just made me wonder what the other 3 of the petit fours at Bentley are like… Guess I’ll have to go find out! 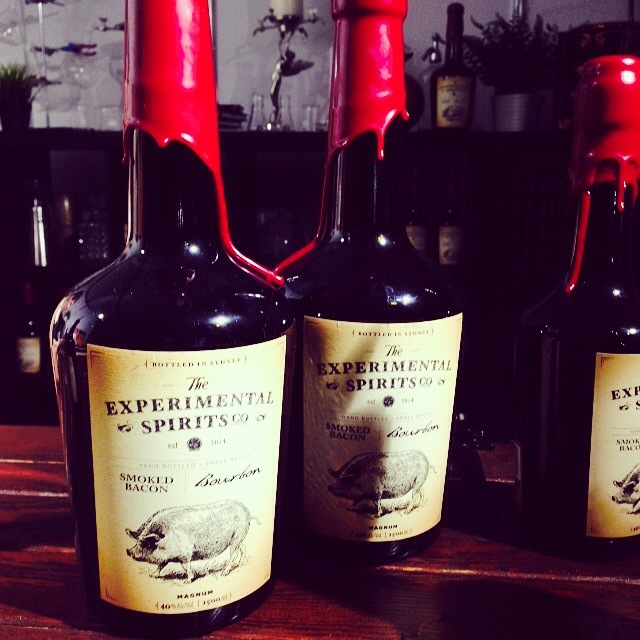 This drink has now gone onto my list of ‘bottles to have on the shelf’, along with my favourite Monkey 47 gin, when I eventually have my own home and liquor collection. That’s all folks. 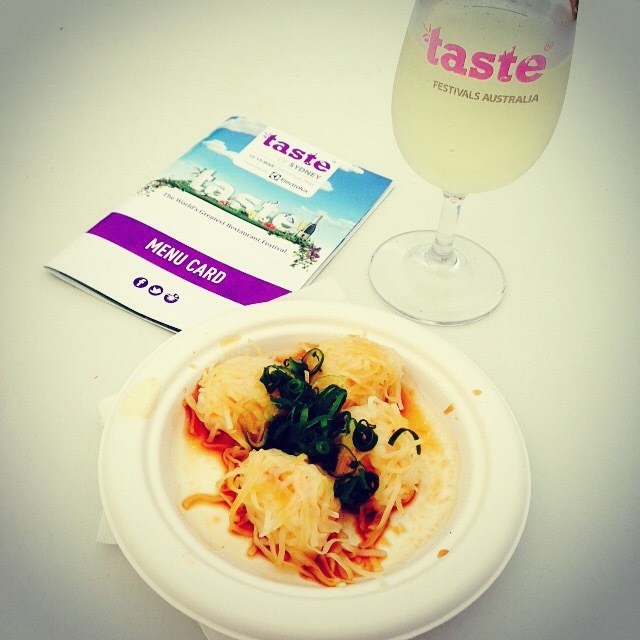 If you’re heading to Taste of Sydney this weekend let me know what you try and any favourites! Thanks Erol! 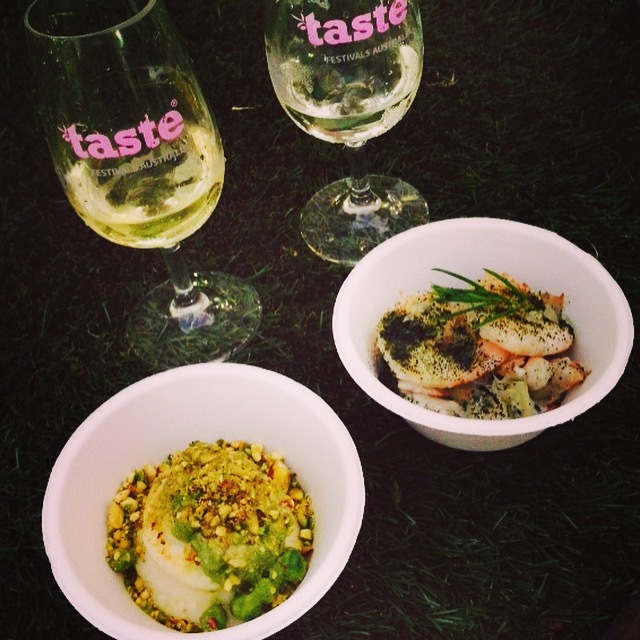 The food was so amazing at Taste. I then went for a girls weekend away to Jervis Bay where we ate our body weight in cheese :O bye bye beach body!